Koh Tao is our favorite spot in Thailand. It’s famous for its diving spots and getting your PADI at a low price. 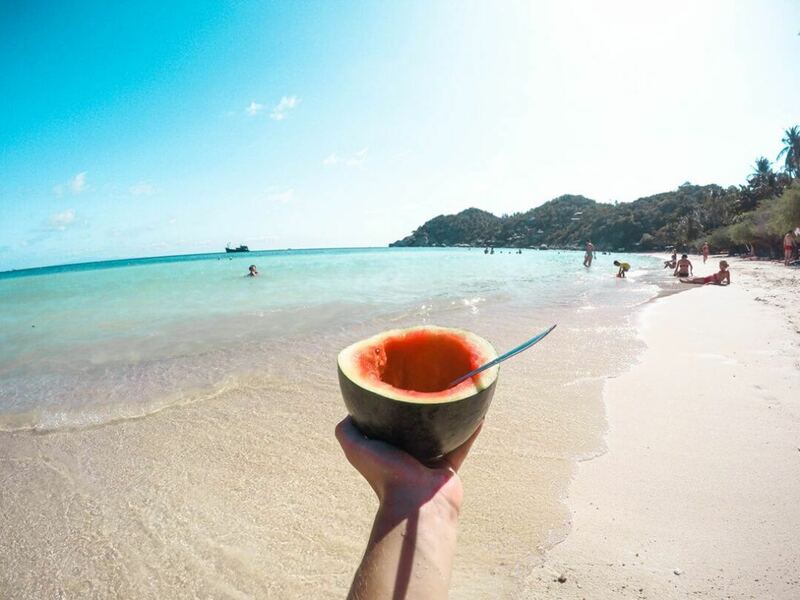 But that’s not why we love Koh Tao. We didn’t dive at all! 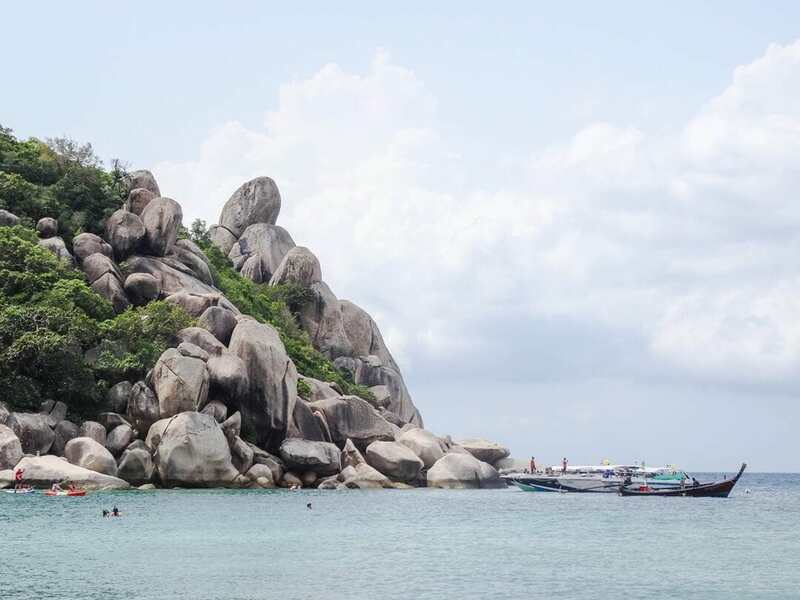 These are our 6 favorite things to do on Koh Tao. Koh Tao has some spectacular beaches and bays. The waters around the island are crystal clear and ideal for swimming and snorkeling. We’re naming the ones we’ve visited but there are a lot more that are surprisingly uncrowded. Several beach bars and restaurants are located on this beach. Sairee beach is still not extremely busy and the vibe feels like the most laid back. In the southeastern part of Koh Tao, there’s a beach called Haad Thien, where the coconut palms are lined perfectly. The name of the bay is not just a name since you can snorkel with Blacktip Reef sharks in there. A small stretch of sand and rocks that is only accessible by motorbike. It is a great spot to swim in azure blue water and snorkel through beautiful, shallow corals. Viewpoints can make you speechless, and that feeling is great. 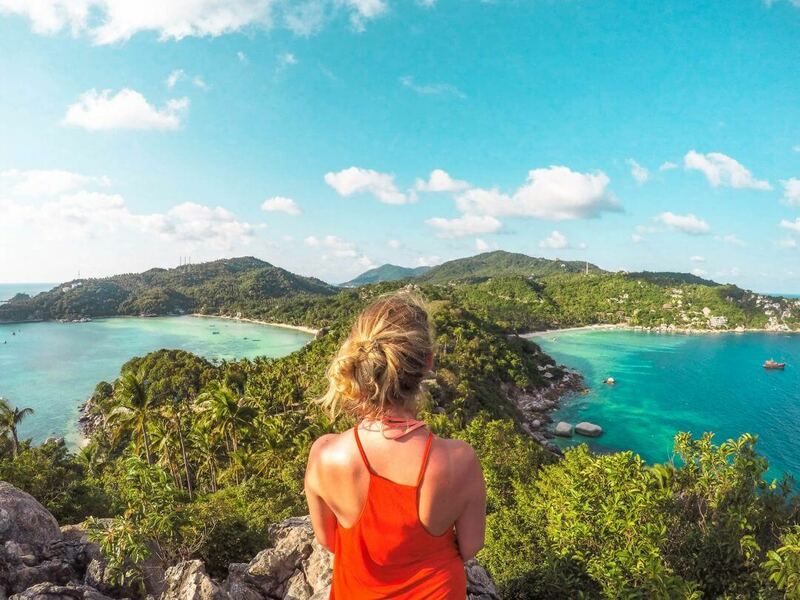 Koh Tao has a lot of these viewpoints if you compare it to the size of the small island. All of the viewpoints are on private property so for some there’s a small entrance fee. At this beautiful viewpoint, you’ll have a view of Sairee Beach and Mae Haad Bay that stretches all the way to the south. The way up is not the easiest, so make sure you’re wearing comfortable shoes unless you’re that flip-flop kind of person. The entrance fee for Mango Viewpoint is 100 THB. 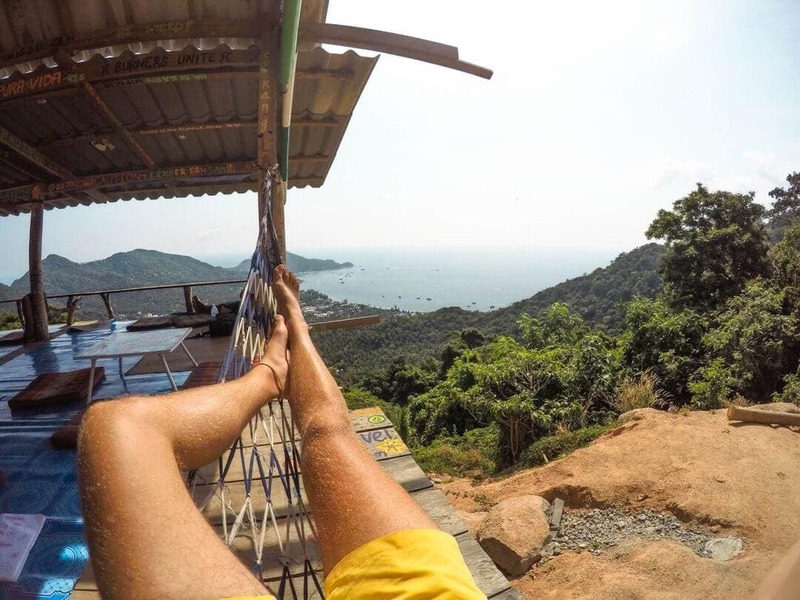 In our opinion, the most impressive viewpoint on Koh Tao. 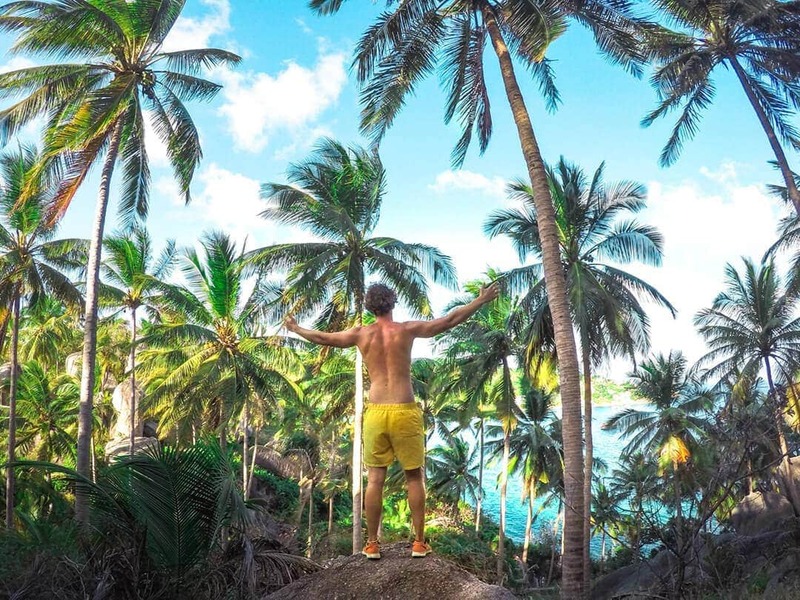 The way up is cool because you’re doing a little hike and the big amount of Palm trees with super clear blue water behind it makes it look like perfectly pure paradise. We’ve visited it a few times and just sat there, amazed. The entrance fee at John Suwan Viewpoint is 50THB. The viewpoint at Nang Yuan is definitely the most popular point. Take the boat from Sairee Beach, which will bring you to Nang Yuan island. Pay the 100THB entrance fee and you’ll be allowed to visit every corner of the island. 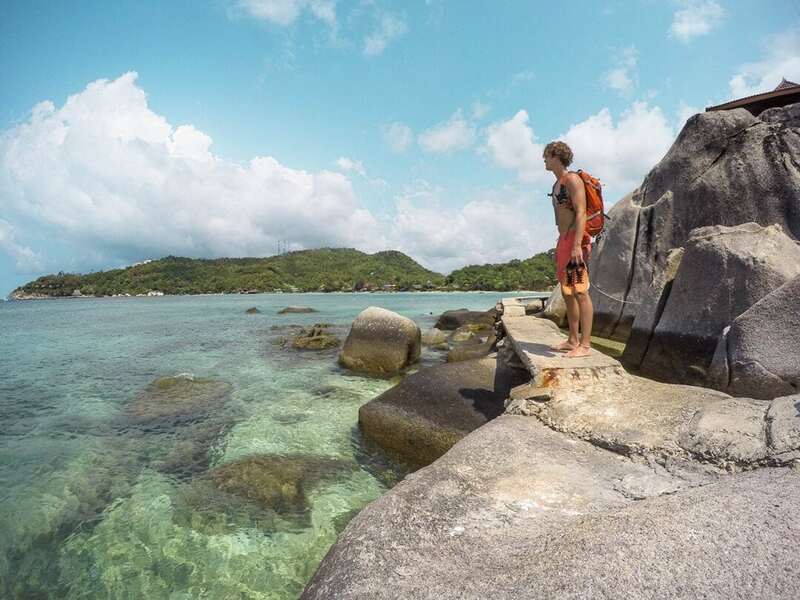 Koh Tao is small, so you can easily explore the island by motorbike or even by foot! The motorbike is our number one favorite transport to start exploring new areas. Some roads are still undeveloped, which is probably a reason for a lot of people to not explore the island. Still, you should explore the island even if you have minimum driving experience. Just get off the bike when you think it’s too dangerous. Motorbikes can be rented for an average price of 200TBH a day. Be careful about giving your passport because sadly motorbike scams are a thing on this island. We can highly recommend Oli’s Motorbike Rentals and RPM. Especially during sunset! At the Sairee Beach, there are a few companies that have paddle boards for rent. Get one at sunset and you’ll experience the most chilled out part of your day. Except if you’re not finding your balance. Look for the signs saying ‘Sup Tao’. There are multiple, but one of them is located at Maya Beach Club. The gym is one of the things we really missed while traveling. 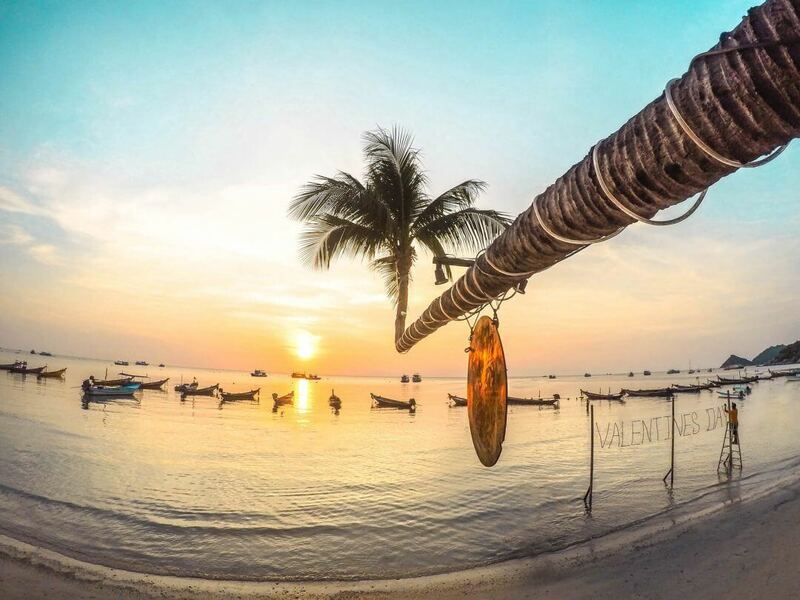 Getting fit in Koh Tao is easy. You can workout in the gym, take a CrossFit lesson or doing Yoga at Grounded. Also, you can fill up your proteins in one of the health bars, Fitness Cafe or Living Juices for example. Don’t forget that climbing up a viewpoint is one hell of a workout too. At Koh Tao, there are loads of good restaurants and bars, the one more expensive than the other. We preferred to get some food and drinks in Sairee village while we stayed near the pier because there are more local bars. The weather in Koh Tao has two seasons, wet and dry. The island is at its busiest between July and September and from Christmas until late February. 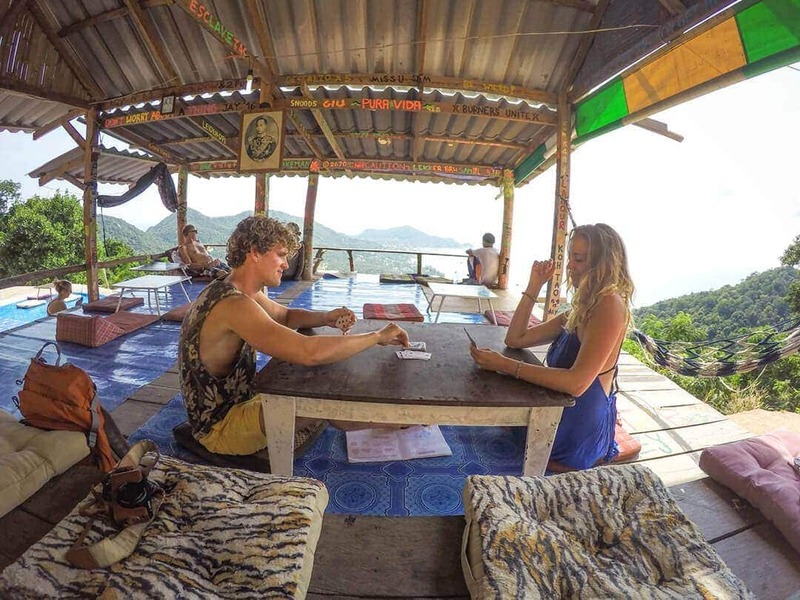 How to get on Koh Tao? Koh Tao is only accessible by boat or ferry. From the mainland, there are two ferry piers that will leave to Koh Tao: Chumphon and Surat Thani. From Koh Phangan and Koh Samui, you can reach the island by ferry as well. Lomprayah is a good company to travel with. Once on the ferry, you’ll be able to get a snack and drinks. And luckily the ferry has air conditioning and a toilet. At 07:30 and 13:00 fast ferries sail to Koh Tao within 2 hours. At 09:00 and 14:30 fast ferries go to Koh Tao within 4-5 hours. 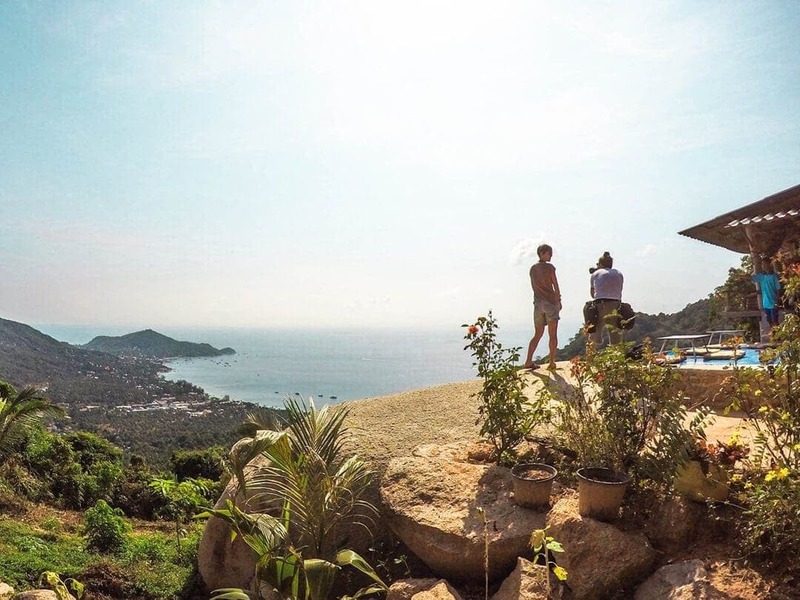 Where to stay at Koh Tao? We got you a $15 discount at Booking.com if you book via this link, you’re welcome! This is a list of paradise looking Koh Tao Hotels under $55. A 5-minute walk from the pier including free WiFi. Located between Mae Haad Town and Shark Bay. (Near John Suwan Viewpoint) Prices starting at $40 a night.